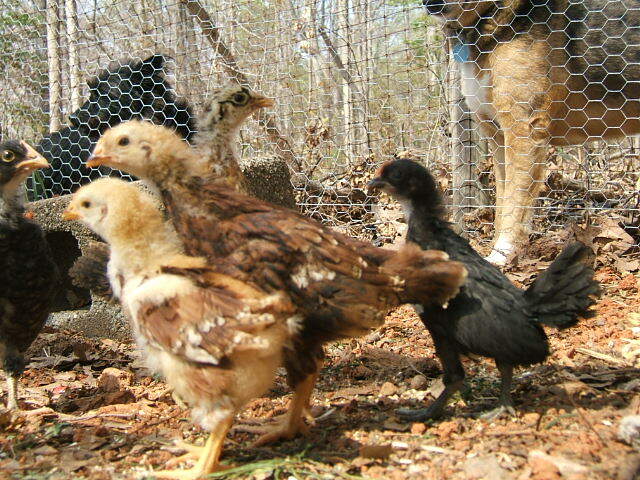 Here’s a picture of the chicks. I’ve actually had a couple of friends ask for updated pictures so here they are! I moved them outside to their chicken run/coop this week. The weather is warm enough for them as long as I keep a light bulb glowing at night. 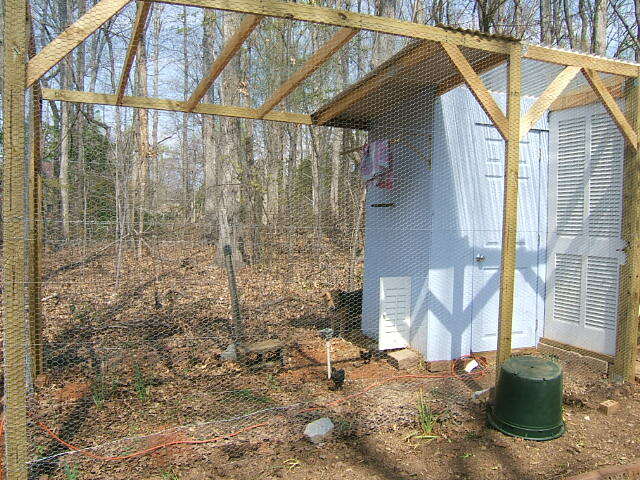 This weekend, I’ll probably have to leave it on all day as well since the coop isn’t insulated yet. Chicks have to be about 12 weeks old and completely feathered out to regulate their body temp. (in addition to pictures, you actually learn a tidbit or two when you come to visit me here). So, for now, it’s a house full of family which is a good thing; a coop full of chickens that entertain us; and a studio that says “hey! when you coming back?”. Until next time – and I promise I WILL put up art at some point soon! Posted in chickens and tagged art, chickens. Bookmark the permalink.